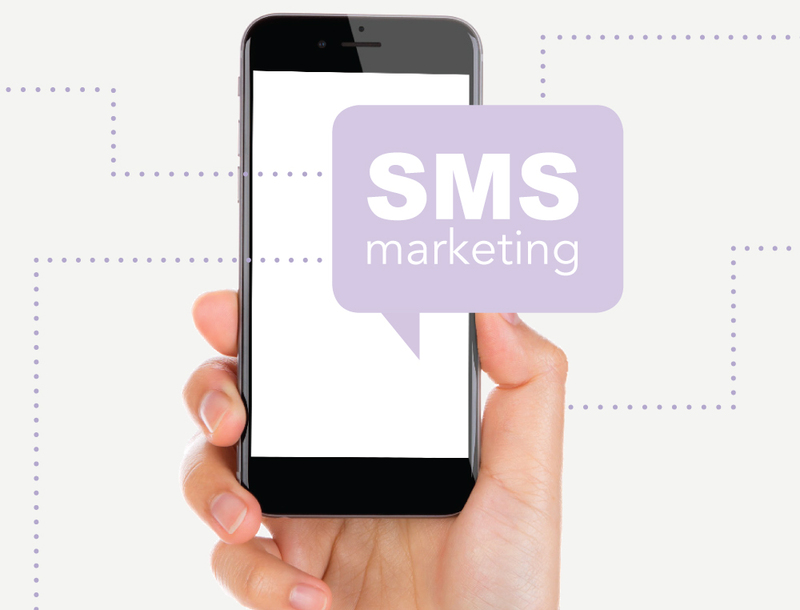 Does SMS marketing make sense for a small business? Absolutely! SMS marketing has the highest open rates of any marketing channel. And that’s just the beginning. Not only does it benefit retailers of all sizes but it’s particularly well suited to smaller businesses that have less to spend on traditional marketing campaigns. Good or great email open rates are at 20-30 percent, but SMS surpasses that by leaps and bounds with an open rate of 90 percent within minutes. When it comes to timeliness of delivery, SMS maintains the highest engagement rate in comparison with email. The open rate of text promotions and offers is at an enormous 98 percent. A text is read within minutes, making SMS a great channel for flash sales and same-day promotions. Instant deliverability and immediate message delivery. Text messages are typically delivered in less than 10 seconds. Messages are opened and most are read within three minutes of delivery. Direct communication with customers can trigger an immediate purchase. The faster you can reach a customer, the sooner customers can make a purchase. You have the potential of reaching a new customer base with the ability to cultivate lasting relationships. These messages are just as easily forwarded and shared with friends. Quick feedback from customers. Research shows that 31 percent of customers will respond to a survey via smartphone. You can deliver surveys via SMS and receive results in a short amount of time. The average response time is less than six minutes. Customer feedback helps you better understanding customer likes and dislikes. You will engage with your customers, let them know about two new classes, offer a link that shows them all your classes, and open a new communication opportunity for the register date for the new chosen class. High open rate. With a 90 percent open rate, the SMS open rate is almost triple that of the average email open rate. You don’t have to worry about coming up with new subject lines to encourage customers to open and read a text message. The buzz or the message alert sound going off on a mobile user’s phone is all the motivation they need to open a text message. High conversion rate. Mobile users respond to call-to-actions in text messages more than in any other method of marketing. The cosmetics retailer Kiehl’s saw over 73 percent of its opted-in customers make a purchase as a result of receiving SMS product alerts. The simplicity of an SMS message is the leading reason conversion rates are higher. Text messages are short, they don’t include lots of links, and they are not bogged down with a multitude of images. The call-to-action is clear and simple. No spam filters to manage. You don’t have to worry about your promotional messages ending up in a spam folder. There are no email filters to deal with and you don’t have to remind customers to remind customers to set their spam filters to allow your messages. When used successfully, SMS creates an effective platform for communicating with mobile customers. John Boitnott with Inc.com shares the most effective SMS tactics he has found that can help boost response rates. Keep your message short and sweet. Over 90 percent of all SMS messages are read within three minutes, making it an intimate way to connect with your customers. Since you’re limited to only 160 characters, ensure your message is to the point and delivers high value so your customer is motivated to respond positively. Have a clear call-to-action. Two factors drive an SMS campaign: the keyword and a shortcode. If you want customers to take part in a campaign that has them text your keyword to a five digit number (your shortcode) make sure those two items stand out and aren’t buried in the message. Integrate MMS (Multimedia Messaging Service). If you have a hard time with the 160-character limit, use MMS to send video clips or images to your customers. You can even include YouTube URLs. Send your customers a video or visual about a recent delivery of a new, highly anticipated fabric collection or a new notion on the market that includes a quick demo, making it an immediate must-have. Make contests interactive. When customers enter a contest or opt in, include your website or social media links in your automated reply. It’s a simple and quick way to connect customers to your various pages, enticing them to click on the links. Encourage your customers via texts. Text messages can prod your customers to share your social media links. The best advertising is by word of mouth, and award your top referrers with a special deal or freebie product. Create a sense of urgency. Including some sort of expiration date encourages customers to respond faster, helping you achieve results or gain information as quickly as possible. Use your texts as hooks to your social media. Promote any contests or sweepstakes you’re offering on your social media pages through the texts you send your customers. You can engage them further through those pages, but use your texts to direct them there. Ask questions or send surveys. Ask customers their opinion on a product or idea, or even if you should launch a business page on a new social media platform. Once you have results, text them to your customers or post the results on one of your social media pages and direct your subscribers to it. Send a text as a follow-up to an email. Your customers generally receive both of these messages on their mobile device these days, boosting response rates and engaging them in conversation. Send texts at the right time. Aim for times your customers won’t be busy, like before or after work, or during lunch hours. As a general rule, don’t send texts before 9am or after 9pm. Engage a younger audience. 18-49-year-olds have grown up with various mobile devices, and are more active texters than baby boomers. Ask customers about their preferences. Inquire as to when they would like to receive messages and what kind of information they want. Then simply customize your SMS program to suit their wants. Personalize the texts. Customers respond more to materials addressed directly to them, so insert your subscriber’s name when you can. You can also target your customers with more relevant texts based on their preferences.